Quick post today to feature a pretty, pretty polish! 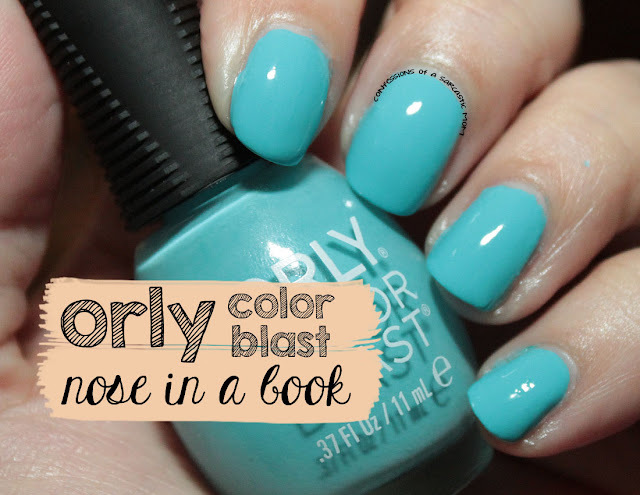 This is Nose in a Book by ORLY Color Blast, which is part of the Belle collection that was out a few months ago. It's a very light, airy blue and the formula is pretty good, too! I found these at Walgreens, and I believe the ORLY sets based on Disney stuff is only sold at Walgreens. These might be in a clearance bin, but you might find them on blog sales or possibly a destash.